If you’re a kiwi fan, you’re not alone! 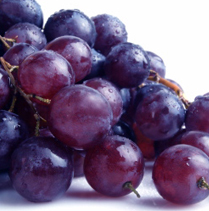 This tasty fruit is a rich berry which packs a powerful nutritious punch for many health benefits! For this fruit, quite a lot! The kiwi, originally called the Chinese gooseberry and later the “sunny peach”, was renamed the kiwi by New Zealand natives after their national bird. There are over 400 varieties of this fuzzy fruit, which grows off of vines on a trellis, much like grapes are cultivated. Researchers exploring the potential positive features of the kiwifruit have conducted several studies involving children and adults. A study in Italy indicated that children had less trouble with wheezing, shortness of breath, and coughing in the night when they consumed 5-7 servings of kiwi or citrus fruit a week. Asthma sufferers were found to derive the most benefit from the kiwi, even when eaten as few as 1-2 times a week. Adults can also benefit from eating the jewel-toned fruit! Another study demonstrated that eating 2-3 kiwi fruits a day can reduce the potential for blood clots and decrease triglycerides. Yet another study cited the kiwi’s ability to protect and repair the body from DNA damage, which could protect against cancer. 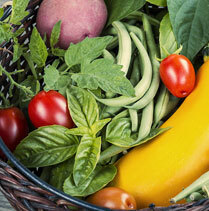 Find out how other fresh foods prevent cancer, too! 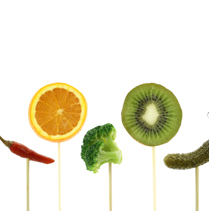 Fiber: Kiwi provides 16% of the RDA for fiber and has a role in the prevention of constipation and some cancers. Folic Acid: Kiwi provides 10% of the RDA for folic acid, which is important for expectant mothers and works to produce red blood cells. Vitamin C: One serving of kiwi gives the body 230% of the RDA for Vitamin C, which helps heal wounds, increase iron absorption, and boost the immune system. 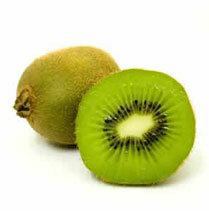 Vitamin E: Kiwi provides 10% RDA for Vitamin E and decreases the risk of heart disease. Calcium: Kiwi provides 5.5% of the RDA for Calcium. Chromium: Kiwi aids in regulating heartbeats. Copper: Kiwi provides 8% of the RDA for Copper. Iron: Kiwi provides 4% of the RDA for Iron. Magnesium: Kiwi provides 6% of the RDA for Magnesium, which can enhance your energy level. Potassium: Kiwi aids in fluid maintenance. Zinc: Kiwi helps keep hair, skin, teeth, and nails healthy. How do I choose a kiwi? What if I chose a fruit that isn’t yet ripe? Kiwis ripen quickly when placed in either a paper or plastic bag with a banana. 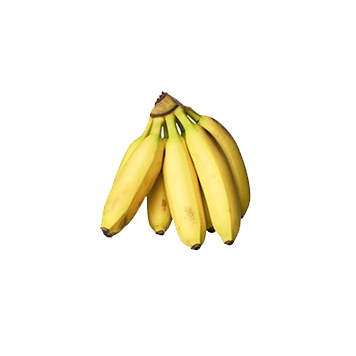 However, once they are ripened, store them away from other fruit or they will decompose more quickly! How long are kiwis good for once I buy them? Ripe kiwi fruit can last in the refrigerator for 1-2 weeks. Can I eat the skin? You can, but wash carefully to remove unwanted pesticides! Rub it a bit to minimize the fuzz. The skin actually provides more fiber to your sweet snack. If you’re not fond of the fuzzy exterior, simply “sloop” it out by slicing the kiwi in half horizontally and spooning out each end to enjoy. What is a serving size of kiwi? A serving of kiwifruit is a ½ cup, or 1 medium-sized kiwi. Make a “fruit pizza” out of graham crackers and a creamy topping (peanut butter, honey, ricotta cheese- the possibilities are endless!) and sprinkle chopped kiwi on top. Involve your kids and make fruit kabobs with kiwi as the star (Make sure to use blunt end skewers so the little ones don’t hurt themselves!). Get creative and try even more kabob ideas! Incorporate kiwi into a citrusy jam, jelly, or chutney. Rub on meat for an all-natural meat tenderizer- the kiwi contains enzymes that aid in breaking down protein. Learn about the health powers of even more fruits, like nectarines, pomegranates, and persimmons!